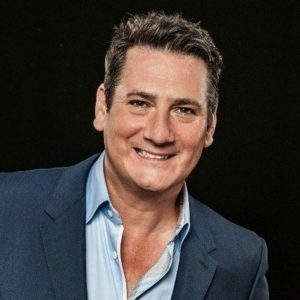 Tony Hadley is best known the lead singer of SPANDAU BALLET. 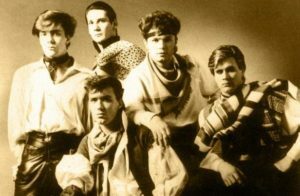 The Islington quintet were one of the bands to emerge from the vibrant and colourful New Romantic scene at The Blitz Club and went on to great success with albums such as ‘True’ and ‘Parade’. But on their 1981 debut album ‘Journeys To Glory’, they harnessed the pioneering sound of the synthesizer that formed part of the soundtrack at The Blitz Club curated by its resident DJ Rusty Egan. Hadley has gone full circle and returns to his days at The Blitz Club by contributing vocals to ‘Lonely Highway’, a track on Rusty Egan’s debut solo album ‘Welcome To The Dancefloor’. Co-written by Chris Payne who also co-wrote VISAGE’s ‘Fade to Grey’, ‘Lonely Highway’ is possibly Hadley’s most overtly synthpop outing since ‘To Cut A Long Story Short’ back in 1980. 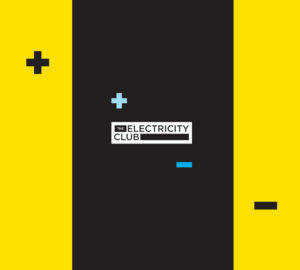 Tony Hadley kindly chatted to The Electricity Club from Copenhagen about this new collaboration and recalled his days at the Blitz Club. How did the idea for you to record ‘Lonely Highway’ come about? Rusty sent me a demo of the song and I just thought it had a really great sound and almost a retro feel to it. We then decided to make some slight changes and felt we needed an outro section/ middle eight. Were there any particular influences with the way you approached the vocal? The way to approach every song is to connect with the lyric and give it your own interpretation. 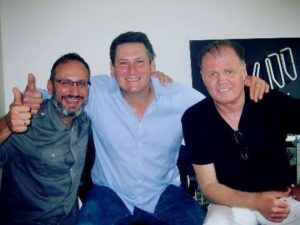 You actually recorded the vocal in the studio with Rusty and his producer Nick Bitzenis as opposed to remotely. Do you think this helped with your performance? To be honest I like the personal approach and having Nick and Rusty there in the studio was just great. This album is Rusty’s baby and we recorded various takes until we felt the song had the right feeling. ‘Lonely Highway’ is possibly the most synthpop thing you’ve done since the early SPANDAU BALLET days. How did it feel to return to that sound? I love synthpop and still one of my favourite songs is Spandau Ballet’s first release ‘ To Cut A Long Story Short’. I love the approach to ‘Lonely Highway’ and on my album out next year there are several references to that era. You’re no stranger to collaborations having done ‘Moment’ with Gary Barlow and ‘Dance With Me’ with TIN TIN OUT? How did these experiences differ? I love collaborating with other artists and have worked on techno tracks with other artists such as MILK INC, MARC & CLAUDE from Germany and CAPAREZZA from Italy. To be honest the writing and recording process is always really relaxed and creative. I’ve known Rusty since I was about 18 and he’s a great guy and a very genuine man. Rusty was there at the start of the whole Billy’s and Blitz scene and that was, an amazing post punk scene! There are lots of fond memories from those days and Rusty has always been a larger than life character. SPANDAU BALLET did a ‘Blitz’ section on the last tour, is there any material from that ‘Journeys To Glory’ period that you still have affection for? Our first album ‘Journeys To Glory’ will always be one of my favourite Spandau albums, we were just young excited lads trying to make our mark on the world. There’s a rawness and energy on that album that is impossible to recreate . The ‘Journeys To Glory’ sleeve notes credit you with “synthesizer”, can you remember what tracks you played on and what instrument it was? There was only one track and that was the instrumental ‘Age of Blows’. The synth was a Yamaha CS10 that we bought on hire purchase as we were all pretty broke. Have you had a chance to hear any of the other tracks on ‘Welcome To The Dancefloor’ yet? I’ve heard a couple of demos and it sounds brilliant, really exciting, so hopefully Rusty will send me an old fashioned CD! I’m on a short European tour, next year will be as busy as ever with UK and overseas touring including the US and South East Asia. I will definitely finish my new orchestral album and that will be released at Christmas 2017. 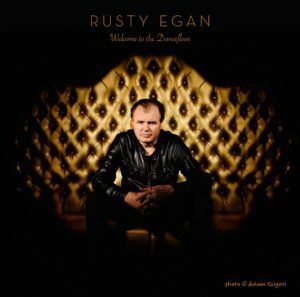 ‘Lonely Highway’ featuring the vocals of Tony Hadley is included on the RUSTY EGAN PRESENTS album ‘Welcome To The Dancefloor’ released by Black Mosaic in digital formats on 3rd December 2016.